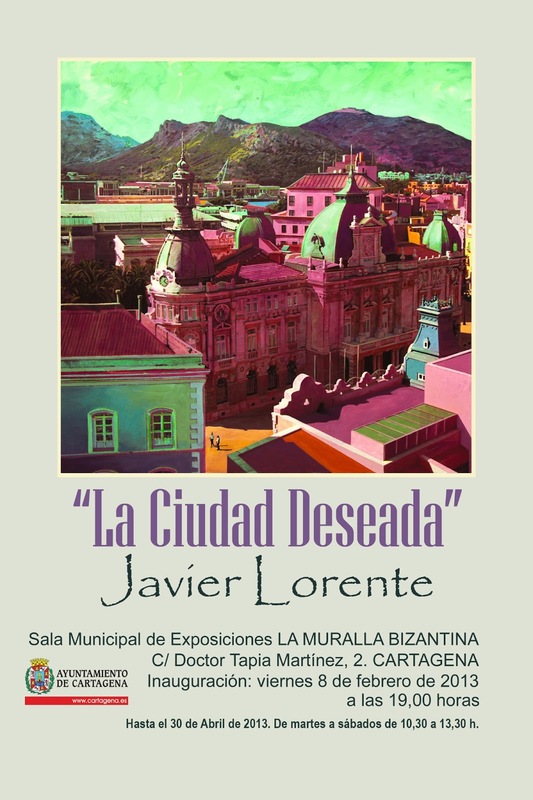 “La ciudad deseada” es un reencuentro pictórico con la vieja ciudad nueva por siempre rejuvenecida, un homenaje a Cartagena que, cargada de historia vive un momento de vitalidad que vuelve a atraer todas las miradas y a todos los viajeros. Javier Lorente (Monasterio de San Ginés de la Jara, Cartagena, 1964), es un artista polifacético, pintor, fotógrafo y profesor de pintura. Apasionado de los viajes pero siempre apegado a la cultura, el patrimonio y el paisaje de la Comarca del Campo de Cartagena. Ha pintado del natural y expuesto por toda España, recorriendo sus pueblos y ciudades con su caballete y sus pinturas. En esta ocasión, nos presenta algunos capítulos de su dilatada y muy personal experiencia de admiración por nuestra ciudad, a la que se acerca como si fuera la primera vez. En su trayectoria destacan exposiciones como "Del natural urbano", "Cuerpo itinerante" y "Los Cuatro Elementos" que ha expuesto en la Feria de Arte Contemporáneo de Bolzano (Italia). The Mediterranean Sea has always been a meeting point of cultures, its waters have rocked the advance of civilisations, it has been a path for the ancient hopes of new horizons and it has forged people and cities into a melting pot of dreams. “The desired city” is an artistic reencounter with the old city that forever is being rejuvenated. Cartagena is bursting with history and at the moment is going through a golden period and is attracting the glances of passers by and travellers. This exhibition pays homage to the amazing and ancient city of Cartagena. Javier Lorente (Monastery of San Ginés de la Jara, Cartagena, 1964), is a multitalented and versatile artist, painter, photographer and art teacher. Javier is a passionate traveller and great lover of the culture, heritage and landscape of Cartagena. He has painted in situ and has had many exhibitions of his work throughout Spain, travelling around different villages and cities with his easel and his paints. On this occasion, he is presenting us with some chapters of his wide and personal experience of our city, which he approaches as if it was his first time.